Eliades Ochoa was born on the 22nd June, 1946 in Songo la Maya, Santiago de Cuba into a musical family of singing and Tres (Cuban guitar) playing. Growing up on a farm with a musical upbringing, he began to play the guitar at six years old and since then has never forgotten his rural musical roots. In 1969, Eliades joined Septeto Ticico Oriental and a year later was officially established and accepted in the Casa de Trova to continue as a regular appearance. In 1986, Eliades and veteran singer, Compay Segundo recorded the album Chanchaneando which highlighted the famous original song, Chan Chan (by Compay). In 1986 the Buena Vista Social Club project was born. One of the youngest musicians on this recording was Eliades Ochoa with his distinctive guitar playing and vocals. After the success of the Buena Vista, all members independently were signed to different music labels and produced many new recordings. 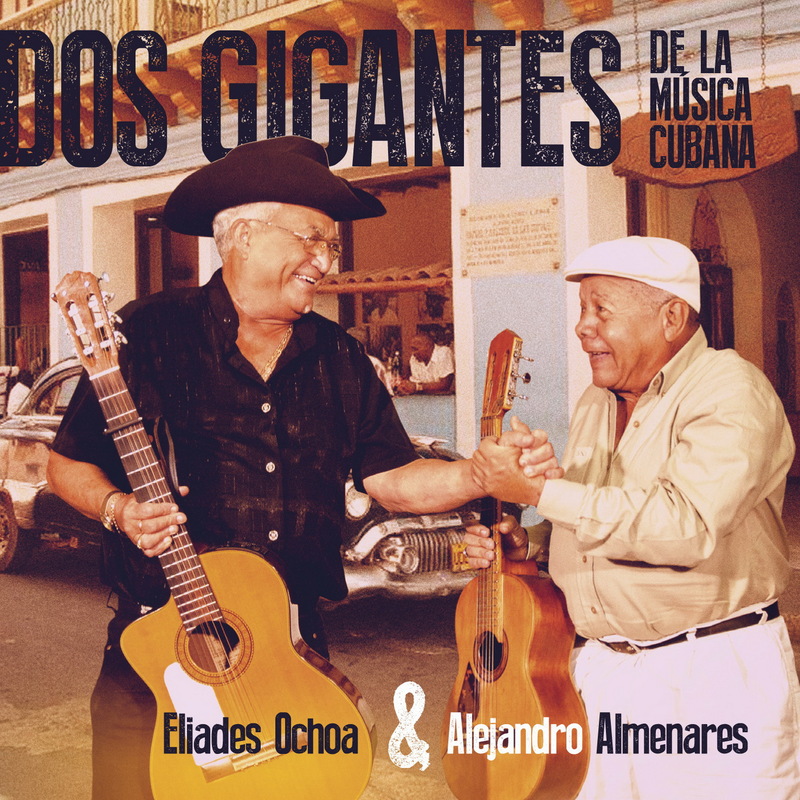 During 2015, Eliades Ochoa joined his sister Maria to record the album "Guajira mas Guajira". He says in his own words, "This is the most important project of my life!". During the same year, Eliades joined with the master trovadour, Alejandero Almenares, as a duo to record Dos Gigantes de musica Cuban. Alejandro Almenares was born on May 24, 1937, in the city of Santiago de Cuba into the humble family of Julia and Angel Sanchez Almenares. His father was the founder of "La Casa De Trova" alongside Virgil Palay and was one of the greatest troubadours in Cuba. In 1960 Almenares formed and directed "Trio oriente" and spent the next 14 years touring and playing with his band all over Cuba and beyond. He later became founder of "Las Guitarras Internacionales" together with Norberto Trujil. As he says: "I've been in so many bands that the number and names escape me ..." Now 81 years old, he lives in Santiago de Cuba and still plays on a daily basis along with Eliades Ochoa and others in the Casa De Trova.